The Best Gear with the Best Deals of the Year! Free 500GB Samsung 970 EVO M.2 NVMe, Free US Ground Shipping + Free $50 ORIGIN PC Gift Card, Free Upgrade to a 1TB Seagate FireCuda SSHD, Bonus Digital Games, and Much More! Miami, FL – November 21, 2018 9:00 AM EST – ORIGIN PC has unveiled their Black Friday and Cyber Monday promotions that will run through Thanksgiving, Black Friday weekend, and Cyber Monday! Customers can create their own promo by picking two out of three possible bonuses including up to a free 500GB Samsung 970 EVO M.2 NVMe SSD, a free upgrade to a 1TB Seagate FireCuda SSHD, or free US ground shipping with an added free $50 ORIGIN PC gift card! 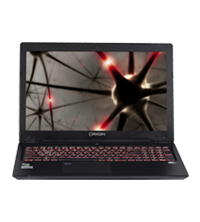 ORIGIN PC is also offering their new EON15-S or NS-15S laptops starting at $1,299 with free US ground shipping and digital game codes! Up to $850 in value! *Disclaimer: While Supplies Last. Cannot be combined with any other given promo. Only two out of the three Black Friday/Cyber Monday special bonuses can be chosen, no exceptions. Free U.S. Ground Shipping is only valid for residents within the 48 contiguous United States and does not apply to Peripherals, Accessories, Desktops with ORIGIN CRYOGENIC Stage III Hard Line Liquid Cooling or systems requiring freight shipping. Free $50 ORIGIN PC Visa Gift Card comes with free shipping bonus. Free 250GB Samsung 970 EVO m.2 NVMe SSD only with systems that are under $3000, excluding EON15-S and NS-15S. Free 500GB Samsung 970 EVO m.2 NVMe SSD only with systems that are over $3000, excluding EON15-S and NS-15S. Free upgrade to a 1TB Seagate 2.5” FireCuda SSHD is excluded from EON15-S, NS-15S,and MILLENNIUM Intel Core i+. Digital Copy of Call of Duty: Black Ops 4 is only bundled with Intel Core i5-8600K, Intel Core i7-8700K, Intel Core i7-8086K, Intel Core i5-9600K, Intel Core i7-9700K, Intel Core i9-9900K, Intel Core i7-8750H, Intel Core i7-8850H, Intel Core i9-8950HK, or Intel Core X-Series CPUs while supplies last. For more information on the Call of Duty: Black Ops 4 offer details, eligibility, redemption, and for the data policy, visit https://softwareoffer.intel.com/offer/callofduty/terms . Free Intel Creativity Bundle is only valid on workstation desktops or laptops with an Intel Core i7 or i9 CPU, excludes X-series CPUs. The Intel Creativity Bundle includes full downloads of Magix Movie Edit Pro 2018, Samplitude Music Studio 2017, Painter Essentials 5, Magix Fastcut, Paintshop Pro X9, Halo Wars 2, Warhammer: Vermintide II, World of Tanks In-Game Content, and PC Mover - Pro. The Intel Creativity Bundle also includes a 1 year subscription to Magix Youcast. Qualifying desktops for Battlefield V NVIDIA GeForce RTX Bundle: GeForce RTX 2080 Ti desktop, GeForce RTX 2080 desktop, GeForce RTX 2070 desktop. Battlefield V game code offer good beginning November 20, 2018 through January 7, 2019 or while supplies last. Offer good for one digital download code (Battlefield™ V). Limit one download code per customer. Game must be redeemed with qualifying graphics card installed. Customer must meet the age requirement for the game to redeem. Regional/Country Requirements: Some coupons require that they be redeemed in specific regions or countries they were purchased in. Please redeem the code in the appropriate region/country. Miami, FL, 11/13/2018 9:00 AM EST – ORIGIN PC has announced today Intel's latest Intel® Core™ X-series processors are now available to order on their line of award-winning gaming and professional desktops. Designed for creators, artists, editors, and developers, the new Intel Core X-series processors are ready to handle intense multi-threaded workloads and demanding content creation tools and apps. Outfit your ORIGIN PC with up to a up to an Intel Core i9-9980XE processor featuring 18 cores and 36 threads built for multi-threaded workloads and give your Intel Core X-series processor an extra boost of performance with ORIGIN PC's professional overclocking to maximize performance! Improve your content creation workflow and tackle any projects requiring multi-tasking with an Intel Core X-series processor inside your next ORIGIN PC desktop today! Miami, FL – October 15th, 2018, 9:00 A.M. EDT – ORIGIN PC has announced today the launch of their all-new custom desktops with an exclusive ORIGIN PC case design: the NEURON and M-Class desktops for gamers, professionals, streamers, and content creators all over the world. Measuring only 16.5” (H) x 6.75” (W) x 15.25” (D), the all-new ORIGIN NEURON and M-Class desktops can be placed in 3 different orientations thanks to removable magnetic feet, perfect for your office, studio, or home theater. Featuring a new dual-hinged tempered glass side panel, the NEURON and M-Class make it even easier to access your components for future upgrades. 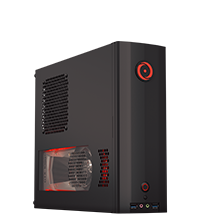 With a new durable steel chassis, ORIGIN FROSTBYTE liquid cooling, dual PCI card support, custom HD UV printing or laser etching, the NEURON and M-Class desktops are fully customizable powerhouse PCs. All-New Steel Exterior: Built from the ground up by ORIGIN PC engineers, the exclusive desktop case features a steel exterior for a premium appearance to house the latest hardware. Tool-less Tempered Glass Side Panel: A new toolless tempered glass side panel allows for easier access to the inside of your ORIGIN PC for future upgrades. Place in 3 Different Orientations: With removable magnetic feet, you can position the NEURON in 3 different orientations: 2 ways vertically or 1 way horizontally. The NEURON can be placed in your office, home theater, or desk in an orientation that fits your lifestyle. Dual PCI Card Support: The NEURON can fit up to 2 standard sized PCI cards such as dual NVIDIA GeForce RTX 2080 Ti GPUs in SLI, or a single NVIDIA GeForce RTX GPU and a capture card or sound card. HD UV Glass Printing and Laser Etching: Make your desktop unique with the beautiful look of ORIGIN PC’s custom HD UV Glass Printing or laser etching. Free Lifetime 24/7 U.S. Based Support: Every ORIGIN PC comes with an industry-leading lifetime 24/7 support based in the United States.